The Great Contraction, 1929-1933 argued that the Federal Reserve could have stemmed the severity of the Depression, but failed to exercise its role of managing the monetary system and ameliorating banking panics. This edition of the original text includes a new preface by Anna Jacobson Schwartz, as well as a new introduction by the economist Peter Bernstein. Every prime minister should read this book! 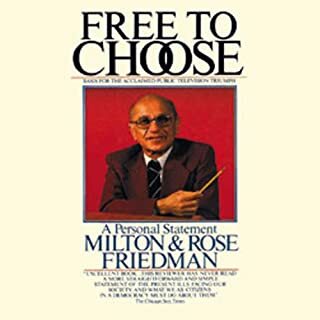 One of the great economists of the 20th century, Milton Friedman has always challenged the prevailing economic orthodoxy. At the same time, his work has become popular because it is engagingly written and because it helps in practical prediction. Thanks to Friedman, money is now regarded as a far more powerful factor than it had been before. It offers the prospect of permanently controlling the inflation that has become the most important economic problem of our age. What kind of mischief can result from misunderstanding the monetary system? The work of 2 obscure Scottish chemists destroyed the presidential prospects of William Jennings Bryan, as well as Franklin D. Roosevelt's decision to appease a few senators from the American West who helped communism triumph in China, are just 2 such mishaps cited in this important work by Nobel Prize-winning economist Milton Friedman. This accessible work also provides an in-depth discussion on the creation of value: from stones to feathers to gold; the central role of monetary theory and how it can act to ignite or deepen inflation; and what the present monetary system means for both the domestic and global economy. 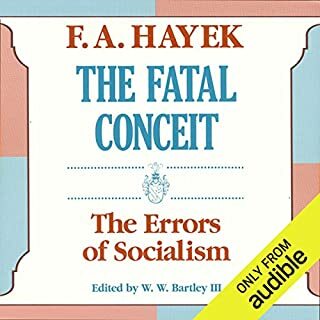 I was disappointed to discover that this well-written and adequately narrated title, listed as "unabridged," has one of its eleven chapters deliberately omitted by the audio producer. The missing chapter, four, explores what might have happened had the U.S. restored both gold and silver as monetary standards during post-war reconstruction in 1873, rather choosing only gold. Earlier and later passages occasionally refer to this missing chapter. More importantly, Friedman's thinking differs from standard wisdom on this issue. An announcement in the recording explains that those wishing to consider the omitted chapter must obtain the printed book and read it for themselves, suggesting that this material is too technical for a general reader. Perhaps Blackstone assumes that advanced readers do not use their products, or that general readers do not know how to skip ahead. Whatever the case, no book should be labeled "unabridged" if it has had a material amount of the author's prose removed. This is a very close look at monetary systems from a surprisingly neutral position. Friedman is 100% apolitical in this analysis of the theory and practice of the phenomenon we call money. You'll no longer take it for granted after reading this book. Does it matter that the U.S. dollar is not tied to a gold exchange rate? What causes inflation? Why do currencies fluctuate in value against one another? These questions are answered in at least as much detail as the average reader will care to know. The book is sometimes repetetive and sometimes simply too deep (or maybe I'm just not quite bright enough to keep up with the author). But I felt it was a worthwhile listen, if for no other reason than I can now talk intelligently to my "gold-bug" brother about the subject of money. 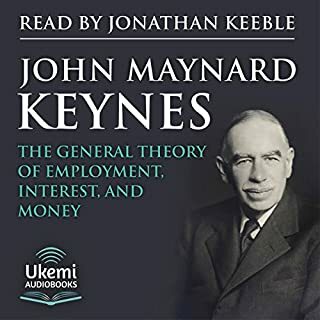 This book delivers a whalloping punch into the art of monetary theory. Going over everything from stone-aged currencies to modern day, this is a guide to understanding how those little things in your pocket work. The book is quite dry for the uneconomically inclined. I don't recommend this if you just want to make money either. There aren't any jewels of wisdom here for becoming a millionare just the theory that underpins what makes money work. Excellent book for understanding money. I thought the audio quality was lacking though. I listen to books with an ipod plugged into my cars' sound system. There is just something about the recorded acoustics or how it was recorded that makes it very difficult to listen to in the car. I had to listen to it through my ipod and earplugs. 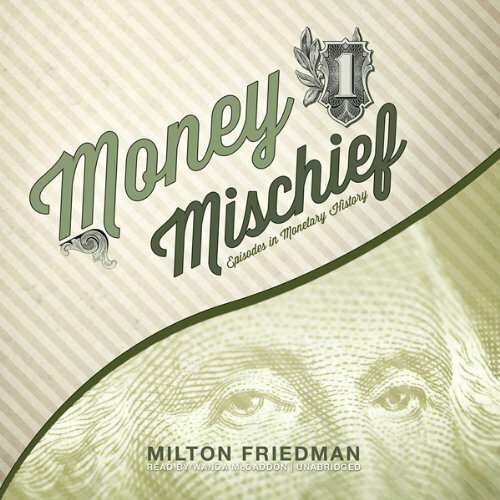 This work by the famed Milton Friedman is story-driven but gets pretty technical and number-driven along the way. There are a lot of judgments and what-ifs around various monetary standards and policies from the 1870s into later times in the 20th century. I think it was published in the early-mid 1990s. Friedman is most popularly famous as a proponent of free markets and capitalism generally, having issued a bestseller and a major TV miniseries around that, but he displayed very independent and pragmatic facets that don't fit neatly in the over-simplified views of a lot of the dimmer sort of free-market ideologues. He cuts across the grain in various areas which is refreshing, and that is on display here. For example, he contends the looser-money silver-plus-gold-based combo of bimetallism (as urged by farmer-debtors, one of the precursors of the modern Democrats) would have been superior to a straight gold-standard (as we used, with some patches requiring silver purchases to placate silver-mining states, with few inhabitants but plenty of US Senators per capita) in the deflation of the early 1890s. If this does not resonate in any way with you, best perhaps look elsewhere. Good book for a PhD candidate! This book is full of information, it's just tough to understand everything unless you have a background in economics. Needed more case studies, and examples in me opinion. What did you love best about Money Mischief? Great examples with historical fact. A scary subject when Perot ran for President. Tragic now in the 2012 elections. Do we never learn? Not understanding this subject, dooms us all. 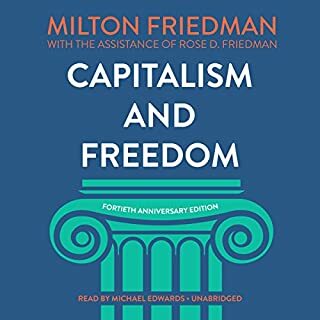 Milton Friedman has a way to make the technical aspects of economics, especially monetary policy, into an interesting story. He tells how a monetary standard impacts political power moves. Inflation becomes a character and not just a phenomenon. Clues to historical events are consequences of changes in the money supply. Friedman examines inflation, money supply and silver purchase programs. This was a book to listen to and consider over a period of time. The narrator I found to be very distracting. Her accent combined with higher pitched inflections was often painful to listen to. Not to mention she read it quite fast in parts. Since this is essentially a technical book, going quickly thru areas that may require more thought to absorb the content causes issue and rewinding quite often. Overall, I thought the book was great. Milton Friedman often reduces a complex topic down to a much more understandable and enjoyable learning task. I was disappointed by the choice to leave a chapter out though simply because they felt it was "too technical" for the listener. 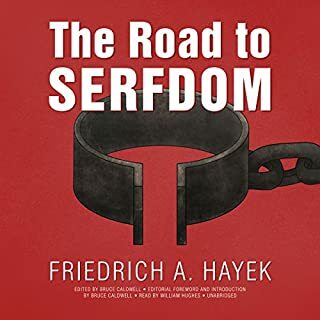 Interesting book that I'll have to listen to again =) Chapter 4 is missing but it is all mathematical proofs of the gold standard/bimetallism that can be seen if a physical copy is purchased. I'm no mathematician so I doubt I would have understood anyway. As always, Milton delivers an easy to understand, comprehensive analysis of the effects of the commodity standard, transition to fiat money and the world wide effects of these.